Twistfix have compiled a compre­hen­sive set of new masonry repair details showing a number of design specifi­cations for the structural reinforcement and strengthening of masonry wall structures.­ We have added these standard repair designs to our website in order to help those who are specifying or carrying out structural repairs using wall ties, crack stitching, lateral restraints and more. 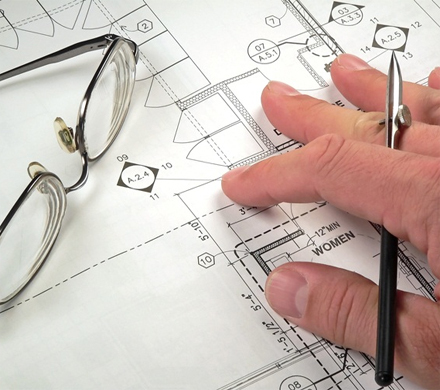 These specification sheets are extremely useful for those working in the construction and refurbishment industry. You will be able to see easily the appropriate masonry repair details along with method statements and product specifi­cations in regards to a variety of structural repairs to masonry walls. Take a look at our structural repair specifi­cations today! If you do require more information then why not visit our Twistfix Interactive House where you can see visually the modern methods of masonry repair. This shows the structural masonry repair products being used in animated format, complimenting the set of structural repair design details. 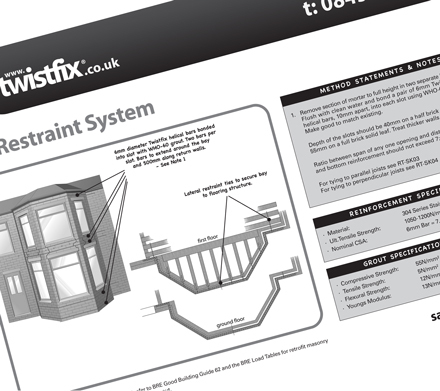 Twistfix provides all the technical information you require as well as the leading products from the market in order to tackle structural repairs. We supply a full range of wall ties in stainless steel as well as the popular Teplo Tie for new build and retrofit applications. We have resin grouted, mechanical or helical brick ties for remedial replacement systems and for tying brick, masonry or timber cavity walls. Lateral restraint ties may be required when structural repair is being carried out on a bulging wall. These are fitted to the outside of a property to tie the masonry to the main structure of the building via flooring timbers, causing minimal disturbance to the occupants. All the details for the above masonry repairs are outlined in the structural repair specifi­cations. Please do make use of these fantastic specifi­cations and if you still need help in selecting products for structural repair then please do not hesitate to get in touch. For more information on structural masonry repair products then please contact Twistfix on 0845 123 6007 or email sales@twistfix.co.uk.